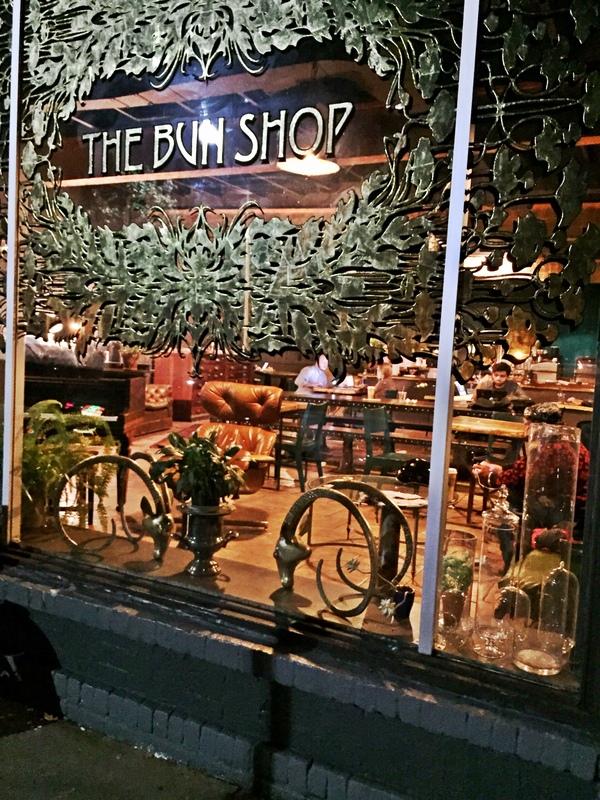 The Bun Shop – eating my way through Charm City! How is it possible that I have yet to visit this endearing coffee shop, errr… for me… a late night spot. This shop was busy even after midnight on a weeknight. It’s a little trendy, and full of young adults and local students. The Bun Shop is a little off the beaten path in Mount Vernon, but with plenty of parking, it is definitely worth a stop and I will always pick this spot of Milk and Honey, as they seem perfectly able to prepare your food and your coffee in less than 35 minutes. 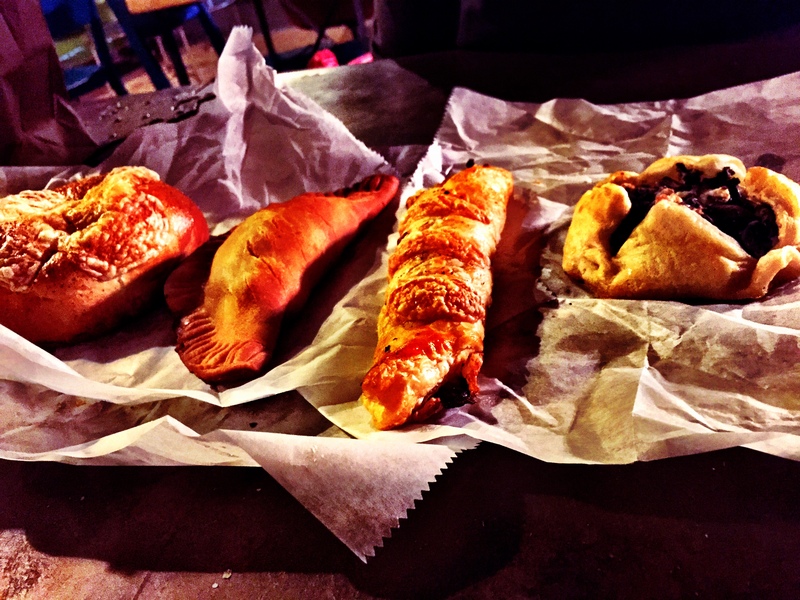 The Bun Shop basically brings the people all the street foodies from around the world that can be found on a bun. I don’t have any idea why we thought it was a good idea to get four buns, but we did. They are not huge, and they are not particularly cheap, ranging from about $4-$6 each, but it was perfect to satisfy that late night craving without breaking the bank. Follow these descriptions for the buns in the picture from right to left. I know, that’s a little backwards, maybe cause I was born in China; I could have picked something up along the way. A mushroom tart – which was flakey and earthy, the dough offers a nice almost a little sweet texture and flavor contrast. A ham and gruyere twist – a generous amount of filling in a light, flaky, pastry crust; a perfect combination of saltiness, with just a hint of sweet buttery perfection. An empanada – which I always manage to mispronounce as empiñata – this was actually my favorite of the night – but I can’t for the life of me remember what was inside. The dough was a little dense, but not chewy and kind of flaked apart in your mouth. The Runza, which I believe is Russian, was an enclosed dough ball stuffed with beef, sauerkraut, and dijon mustard. This is a yeast style dough, so it is thicker and chewier, more like your pizza or calzone crust. This entry was posted in All Good., Charm City, Late Night, Mount Vernon. Bookmark the permalink.